“Tracks from the 90s” was a 5-inch CD distributed for promotional use by Interscope Records in the US. It was used to promote the upcoming compilation album, “The Best of 1990 – 2000”. The CD was released in a regular jewel case with front and back inserts. 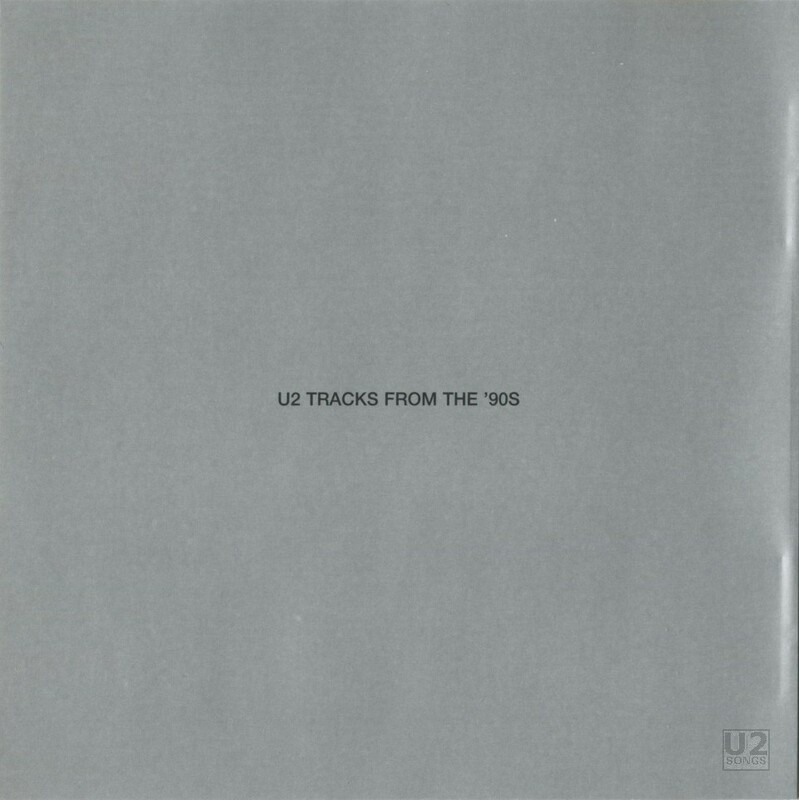 The cover is silver, with just the title and “U2” on the cover. The back is also in silver, with the track listing. First reports of this promotional release came on September 23, 2002 as the promo began to show at radio. The promotional release contained five tracks, including “Mysterious Ways”, “Beautiful Day”, “One”, “Hold Me, Thrill Me, Kiss Me, Kill Me” and a new mix of “Staring at the Sun”. The mix of “Staring at the Sun” was done by Mike Hedges with Carl Glanville and was done specifically for the release of the new compilation. Upon listening, fans were quick to identify “Mysterious Ways” as being an alternate version with a slightly different lyric. This alternate version of “Mysterious Ways” would also appear on the new compilation. This was the first promotional item issued for “The Best of 1990 – 2000” other than the lead single, “Electrical Storm”. Produced by Daniel Lanois with Brian Eno. Engineered by Flood. Additional engineering by Robbie Adams. Assisted by Shannon Strong. Mixed by Flood, The Edge and Daniel Lanois. Assisted by Shannon Strong. Additional percussion by Daniel Lanois. Produced by Daniel Lanois and Brian Eno. Engineered by Richard Rainey. Assisted by Chris Heaney. Additional production by Steve Lillywhite. Mixed by Steve Lillywhite. Additional engineering by Tim Palmer and Stephen Harris. Synthesizers / programming by Brian Eno. Backing vocals by The Edge and Daniel Lanois. Produced by Daniel Lanois with Brian Eno. Engineered by Flood. Additional engineering by Robbie Adams. Assisted by Shannon Strong. Mixed by Flood. Assisted by Shannon Strong. Additional keyboards by Brian Eno. Additional Guitar by Daniel Lanois. Produced by Flood. Additional production by Steve Osbourne. Recorded by Mark “Spike” Stent and Howie B. Assisted by Rob Kirwan. Additional production by Mike Hedges for 3kHz. Mixed by Mike Hedges and Carl Glanville. Additional engineer & Pro-Tools operator: Matthiew Clouard. Programming by Ben Hillier. Keyboards by Steve Osbourne. Produced by Nelle Hooper, Bono and the Edge. Engineered by Robbie Adams and Flood. Mix Engineer: Mark “Spike” Stent. Programming and keyboards by Marius De Vries. Assisted by Paul “PW” Walton. String arrangement by Craig Armstrong.